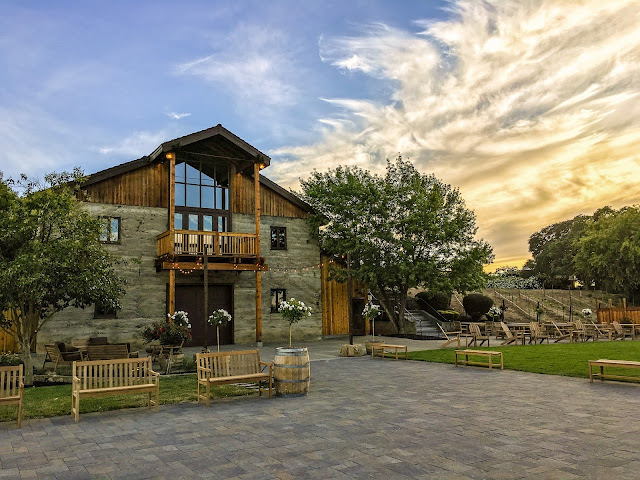 Of course Vine Travels is all about educating on Italian wines, but every now and then I like to mix it up and share some other wines from around the world with you. This week we are venturing to Livermore, CA and sharing the wines of Murrieta's Well to you with an inside scope from winemaker Robbie Meyer. 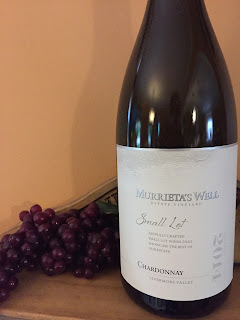 In full disclosure these wines were received as samples courtesy of Murrieta's Well and Snooth, but opinions shared and recommendations are personally my own. Actually never having been to California I don't know much about the Livermore area, but Robbie shared that the weather is relatively cool influenced by the fog at the bay, along with plenty of sunshine. 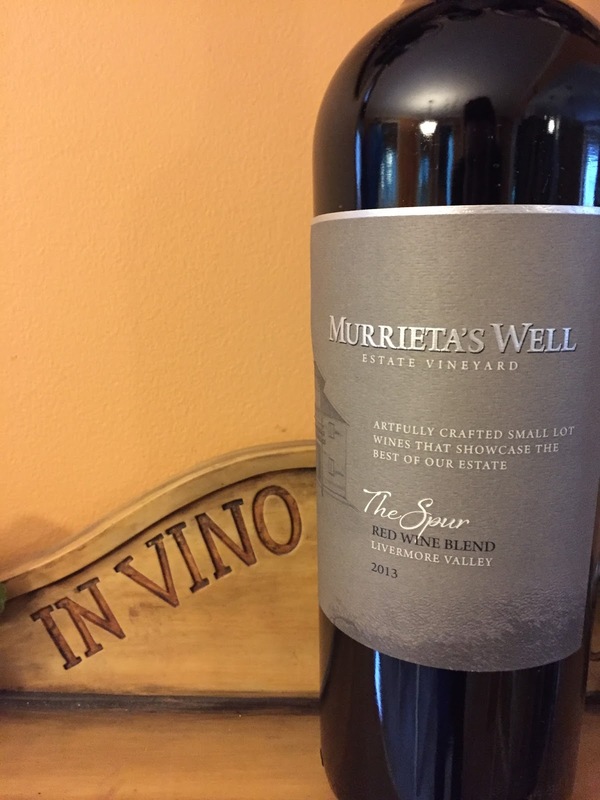 Murrieta's Well has about 500 acres, but their grapes are sourced only from select blocks that they feel are performing at their best. 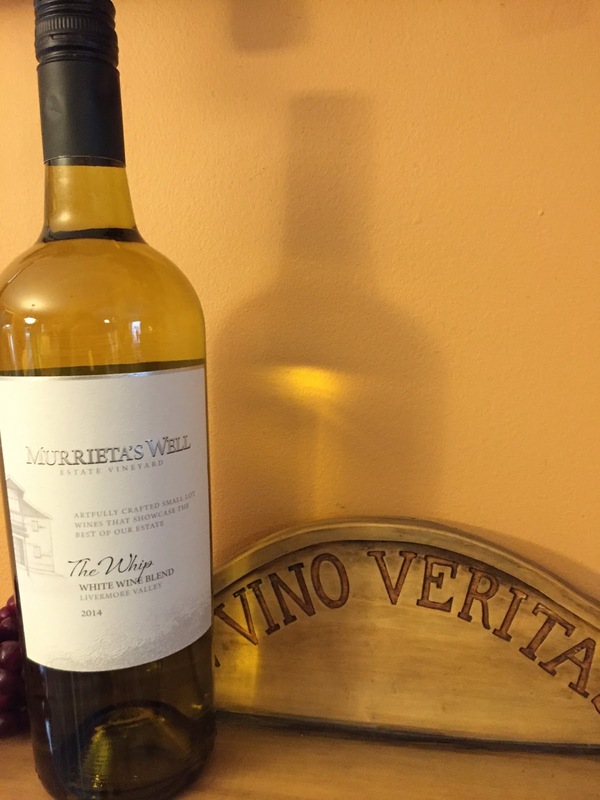 The Murrieta's Well Small Lot wines are a small production of about 200-250 cases annually. Robbie believes in farming “acre by acre” and managing all aspects including canopy management. It's important for him to make sure there is some sunlight on some portion of the grapes for some part of the day. 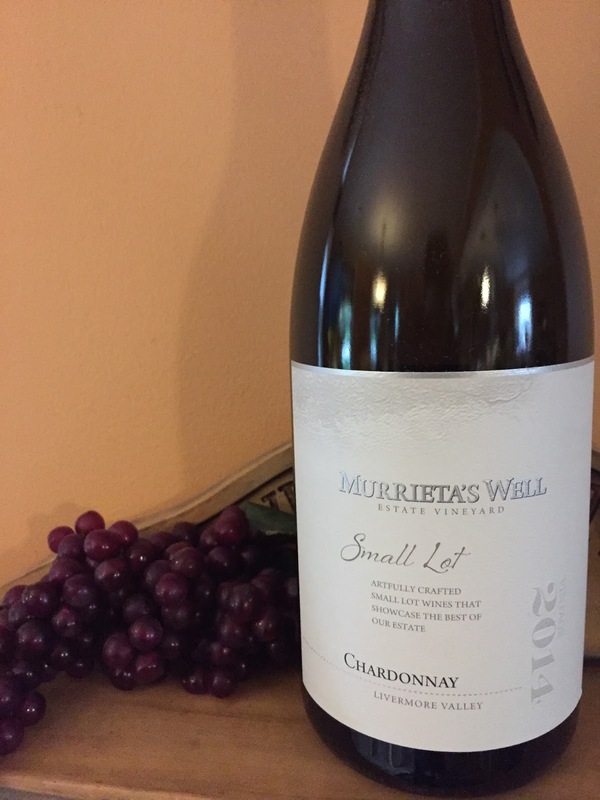 The 2014 Murrieta's Well Small Lot Chardonnay is made in about 50-75% new French oak barrels, but Robbie believes in accenting the wine with oak and not dominating it so for those of you that like a hint of oak influence without completing taking over the wine you'll want to seek out this wine. Robbie actually mentioned that 80% of the chardonnay grapes in California originated from the Wente clone including these grapes. Picked at night, this wine goes through about a 3-8 week fermentation where the malolactic fermentation is innolcated. The target is to have a slow, consistent and cool fermentation that provides an integrated presence. It's then aged for 15 months in barrel to provide a silky wine combined with plenty of tropical fruit and peach and that hint of oak. Robbie suggested pairing this week a flaky fish, maybe halibut. The 2013 Murrieta's Well Small Lot Cabernet goes through a whole berry fermentation where it is aged about 22 months in barrel. 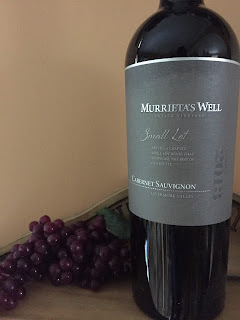 Inky purple in the glass with ripe dark fruit, nice structure and notes of dark chocolate. Who doesn't like some dark chocolate in their glass?! Robbie thinks this wine can be enjoyed up to about 10 years of age and is best paired with some grilled meats. For value 2014 Murrieta's Well The Whip and 2013 Murrieta's Well The Spur are the wines to consider. With The Whip containing some muscat and viognier that provide a beautifully, aromatic wine. The semillon and chardonnay grapes give it that mouth feel and body. Lastly, the sauvignon blanc gives it some of that acid and zest.